This post will cover all the Banpresto prize releases for the month of April. As a reminder, the items listed on this post are not available for sale in stores, such as the Pokemon Center. They are only sold from Banpresto for use as prizes in game centers. Everything can be bought from second hand sellers, however, what is sold and at what price is completely up to the discretion of the re-sellers. April brings us three new series (Pokemon Life With Pikachu, Tsuretette Plush, and Mogu-Mogu Time) along with the return of some favorites (Korotto Manmaru and Kororin Friends) along with the general Pokemon Sun & Moon line. 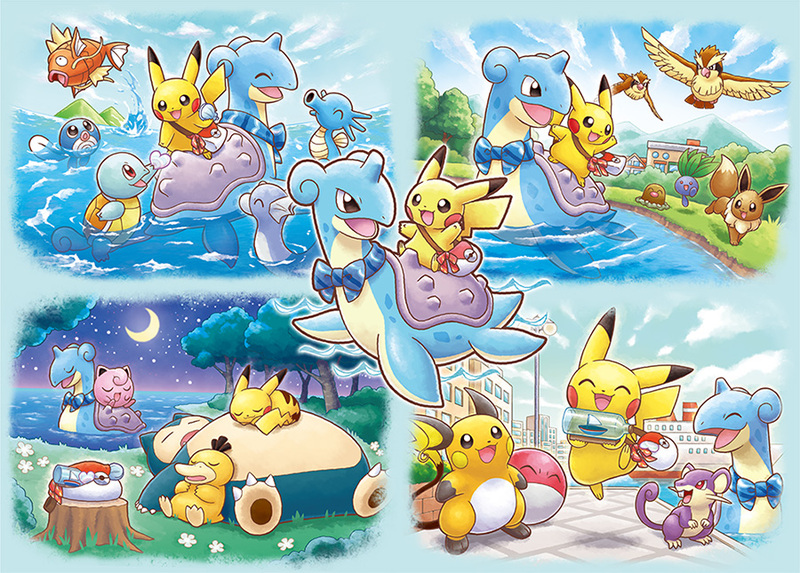 Pokemon Life With Pikachu starts in April with two different releases. A set of 2 large Pikachu plush (about 28 cm long) will start appearing in game centers April 5th (Thursday). From the stock photo, it seems like these plush are made of softer minky fabric vs the usual velboa. It could be an illusion, but hopefully not! A set of 2 Pikachu plush tissue box cases (about 30 cm long) will start appearing in game centers April 12th (Thursday). The next new series, Pokemon Tsuretette, will also have two releases in April. Tsuretette means to bring along, so this is like a Buddy Pokemon themed series. A set of two larger sized plush (about 24 cm tall) will start appearing in game centers April 5th (Thursday). This set includes Pichu and Cubone. A set of four smaller sized plush (14 cm tall) will start appearing in game centers April 16th (Tuesday). This set includes Pikachu, Charmander, Squirtle, and Bulbasaur. The last new series for April is Mogu-Mogu Time (Snack Time). The extra large Snacky Snorlax plush (about 36 cm tall) will start appearing in game centers April 26th (Thursday). Large plush from the Korotto Manmaru series (about 25 cm tall each) will start appearing in game centers April 12th (Thursday). This set includes Raichu, Voltorb, and Ampharos. 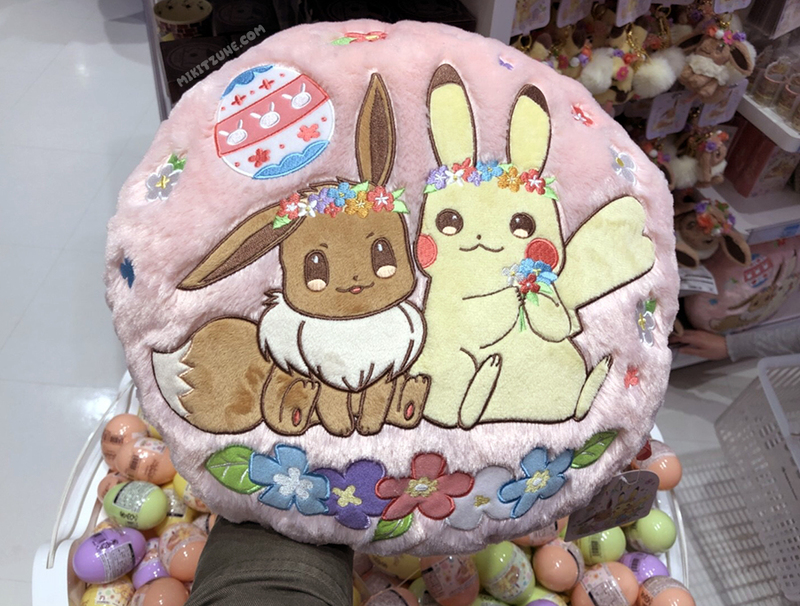 April sees the release of the first four plush from the large Kororin Friends Eeveelution set. Jolteon, Sylveon, Vaporeon, and Flareon will start appearing in game centers from April 24th (Tuesday). Each plush should be around 26 cm from head to tail. Last but not least, there will be two releases from the general Pokemon Sun & Moon line. A large Poipole plush (about 24 cm tall) will start appearing in game centers April 5th (Thursday). An extra large Magnemite plush (54 cm long) will start appearing in game centers April 24th (Tuesday). That wraps up the exciting Banpresto releases for April! This week’s announcements were pretty low-key. 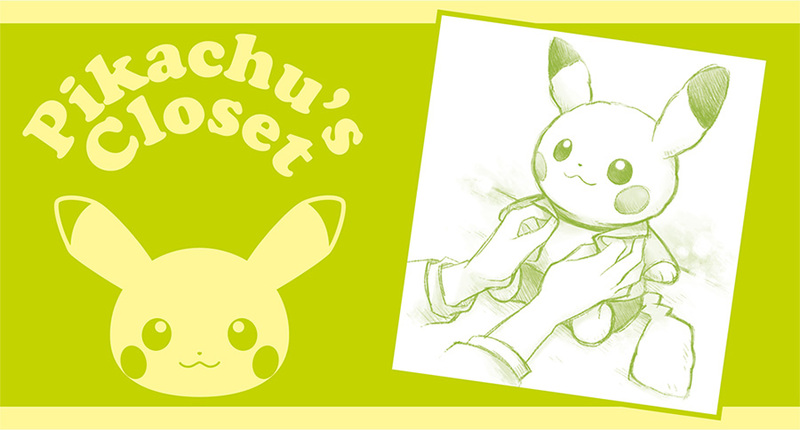 Pikachu’s Closet returns to Pokemon Centers with a brand new clothing set. 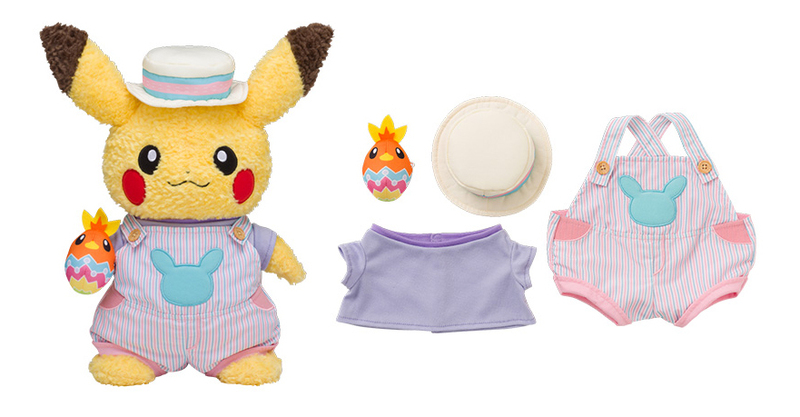 The Easter Clothing Set features cute overalls, shirt, hat, and tiny Torchic Easter egg. 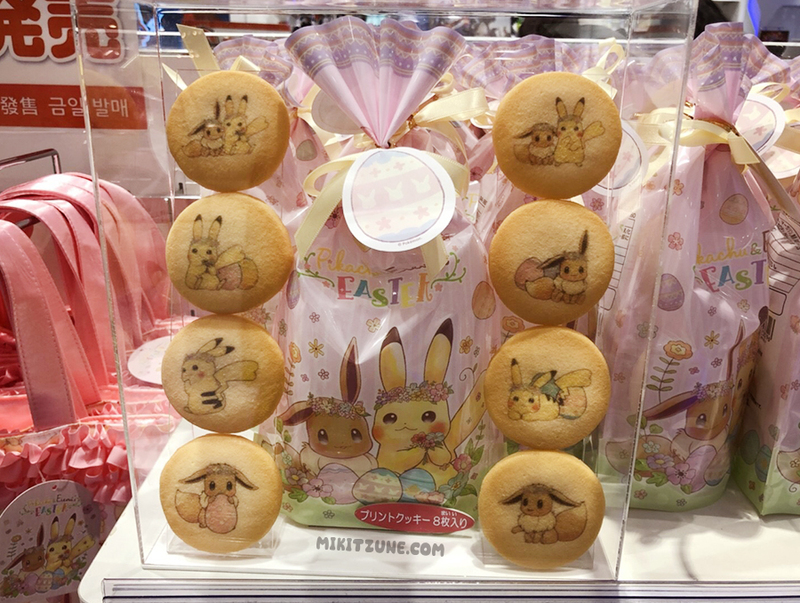 Perfect to dress Pikachu up in for Easter brunch! The clothing set will cost 3,456 yen after tax and will go on sale March 31st (Saturday) at all Pokemon Centers and Stores in Japan. 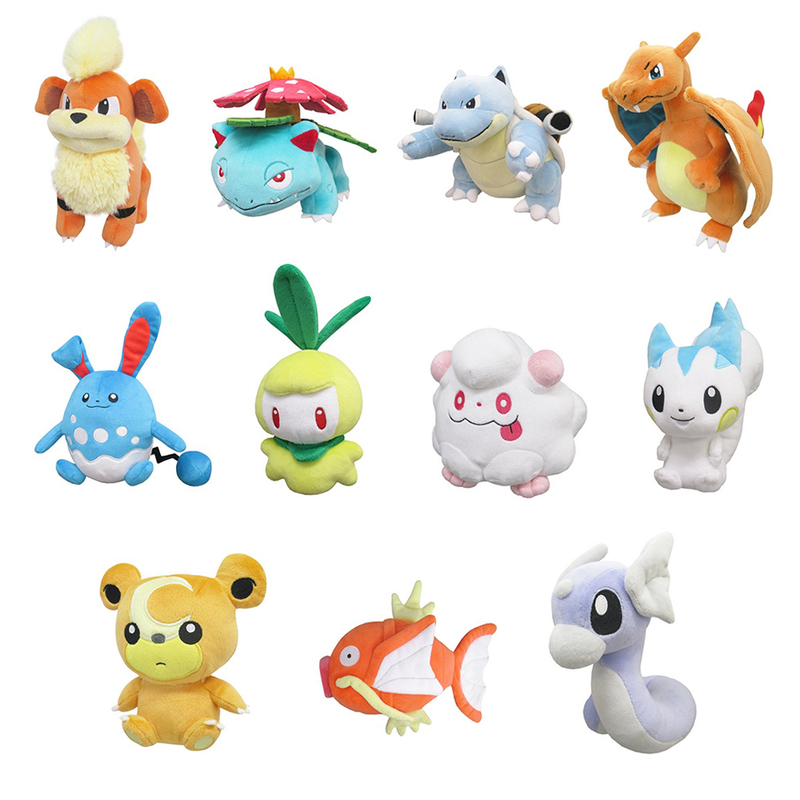 Images and pre-orders for the next San-ei Pokemon All-Star series of plush have surfaced on Amazon! This set, which should go on sale around July 5th 2018 (Thursday) includes 11 Pokemon: Venusaur, Blastoise, Charizard, Growlithe, Azumarill, Petilil, Swirlix, Pachirisu, Teddiursa, Magikarp, and Dratini. There will also be a set of plush pouches with tail zippers on the back. 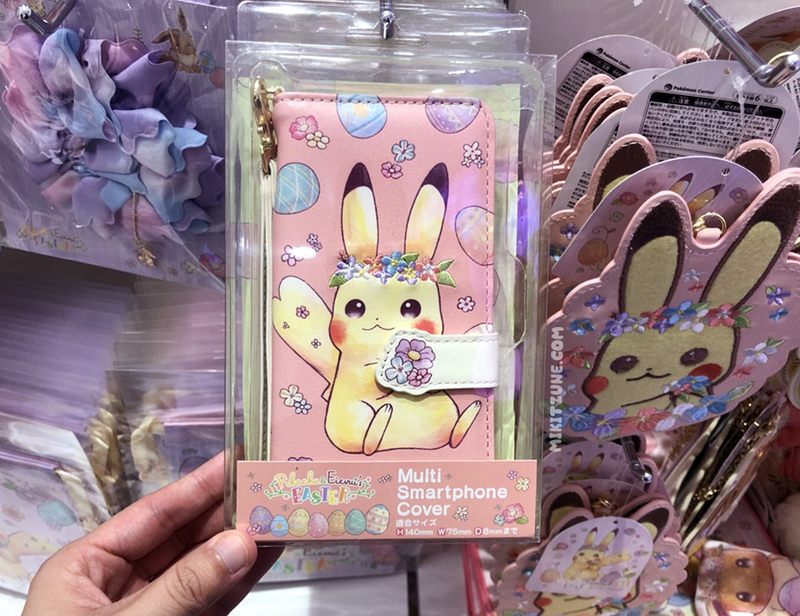 These pouches should also go on sale in Japan starting around July 5th 2018 (Thursday). 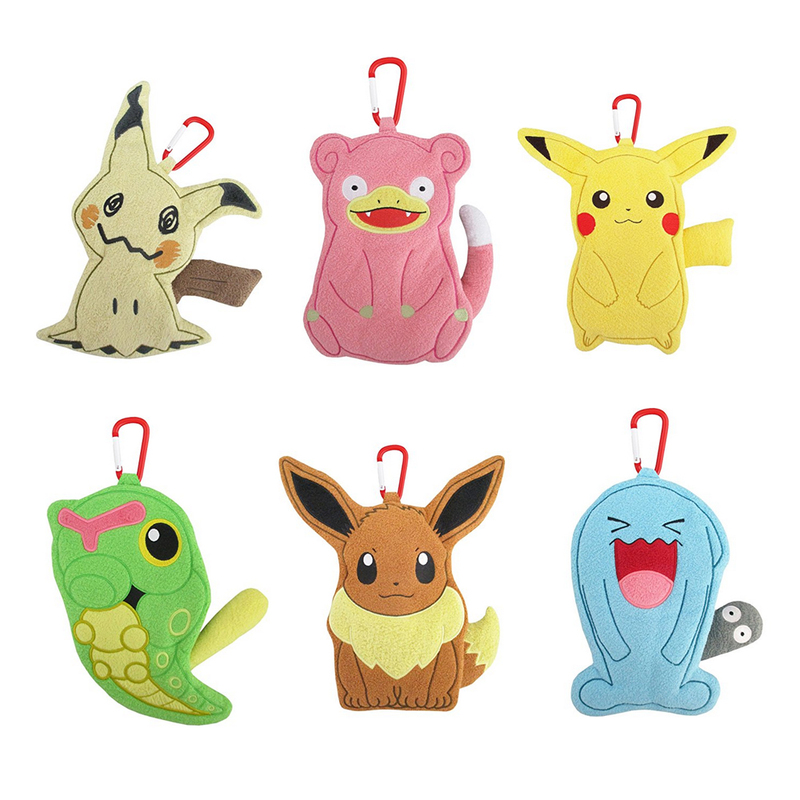 The set will include: Pikachu, Mimikyu, Slowpoke, Caterpie, Eevee, and Wobbuffet. Each pouch will cost 2,160 yen after tax. Also of note is a new Re-ment figure set coming out April 9th, 2018 (Monday). The set has 8 figures in total. Each figure comes with a Pokemon and a part of a tree plus stump. 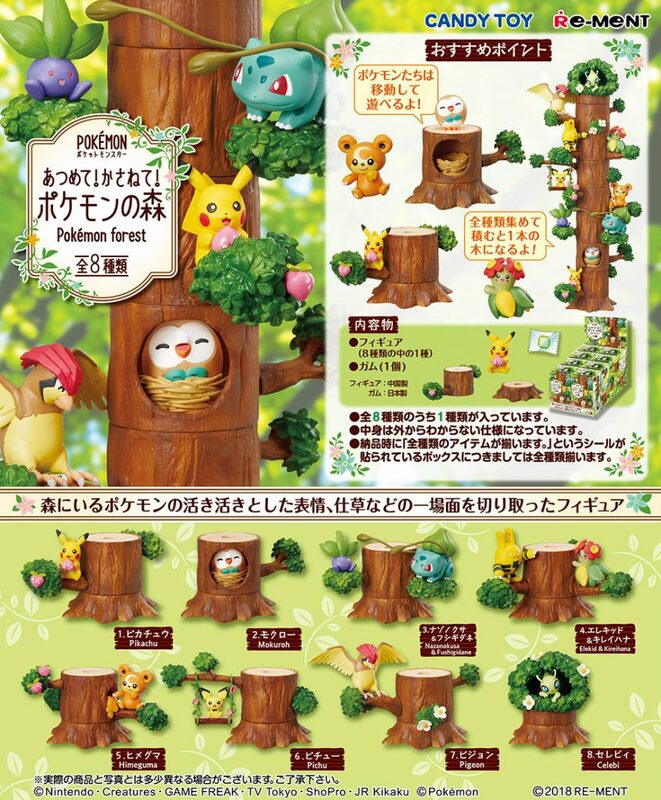 Collecting all 8 figures will let you build the entire tree with all the woodland Pokemon for a cute diorama. The Pokemon in this set include: Pikachu, Rowlet, Oddish & Bulbasaur, Elekid & Bellossom, Teddiursa, Pichu, Pideot, and Cerebi. That wraps up today’s Pokemon Merchandise Announcements!